A slice of history from one of the most critically acclaimed progressive bands of recent years. The Swedish progressive rock / metal masters in conjunction with Lion Music offer up their little heard 1994 debut album. 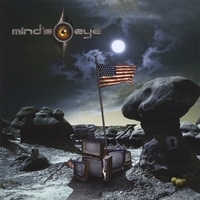 “1994: THE AFTERGLOW” is a slice of history from one of the most critically acclaimed progressive bands of recent years – MIND’S EYE. The Swedish progressive rock / metal masters in conjunction with Lion Music offer up their little heard 1994 debut album “The Afterglow”. Re-mastered by Daniel Flores and re-packaged with all new artwork by artist Carl-André Beckston (Monowasp), the album is wrapped up with a variety of bonus features (including the bands debut video – Castle Of Eternity), all showing the humble beginnings of the band who released arguably 2007’s most critically acclaimed progressive metal masterpiece and world first triple pack release (cd/dvd/comic) in “A Gentleman’s Hurricane”. Being the first ever release by Mind's Eye, this is a genuine chance to get to know the band as they started their career. Back then the bands core of Daniel Flores and Johan Niemann along with original singer German Pascual and guitarist Fredrik Grunberger proved they already knew that they wanted to show the world that good music CAN be created with discipline and emotion. Sounds like a paradox? Not for Mind's Eye. The musicianship and song writing on “1994: The Afterglow” belies the bands tender years at the time, Daniel and Fredrik where 18, German was 20 and Johan was only 15. Musically the band had the same goal as they do today. What they didn’t have back then was the experience and knowledge they have today, yet this album shows the unique seeds for future works and any listener will be hard pressed not to appreciate the talent on offer even today some 14 years on from original release.